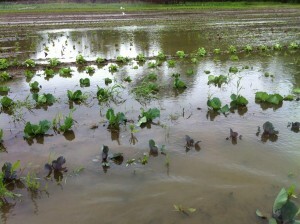 CSA: Were these farms innovating and figuring out adaptation strategies on their own? Or were there sources of information that they and other farmers can look to for guidance on specific ways of becoming more resilient? Ruby: Most of the farms had networks that they were involved with, both formal organizations and informal relationships, through which they were sharing information and ideas. Almost everyone mentioned the importance of a supportive network, especially as small businesses. Some farmers mentioned that they attended conferences and workshops on a regular basis, and many said that venues such as farmers markets served as a space to talk with others and troubleshoot. Each state seems to have a different set of resources; I heard great things about UVM Extension. One farmer spoke about the value of open source technology; keeping technology and innovation accessible (without patents) allows people to learn from the work of others and adjust innovations to fit their own needs. At the end of each case study I included a few resources for further information that the farmer being interviewed had identified as helpful. Specific to climate change, several farmers said that they looked for help in dealing with new or increased pests and diseases. This is especially true if pests were new to the area and farmers were unfamiliar with them. Farmers mentioned reaching out to neighbors, extension specialists, or simply looking up management strategies on the Internet. As many pests and diseases are shifting regions as climate changes, having a broad network was very important in order to access information from farmers more experienced with a particular challenge. CSA: Looking back at all of the farms, do you see common threads that enabled the farmers to be prepared and to make concrete steps toward adaptation? Ruby: Yes: being flexible and preparing for the worst while hoping for the best! I also think this is a common thread in any successful business. Farmers that planned for many different scenarios seemed to be the most successful in taking advantage of opportunities. For example, farmers might plant a field knowing that the crop could be lost due to either flood or drought (depending on the location). Successful farmers would have a plan in place for this event, and know exactly how much of their business was at risk. Plans could include a backup crop, alternative sources of income, insurance, or simply replanting a fast growing crop in the same area. This means that in the worst-case scenario, farmers would not be absolutely devastated by losses. Along the same lines, this allowed farmers to take advantage of the opportunities presented by changes in climate. For example, the flexibility to plant an extra crop at the end of the growing season, despite the risk of frost, meant that farmers might have an extra harvest. Again, these seem to be practices that many farmers traditionally do anyways, however the pressures from climate change make it more vital for farmers to be opportunistic, and have plans in place for failure. Also, I know this is very general, but the most resilient farmers seemed to be the most open minded and creative. This means the willingness to try new things (and the careful planning so that if the “new things” fail, all is not lost). 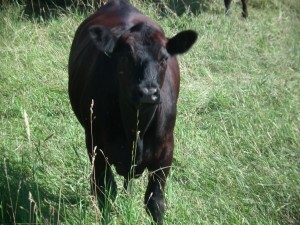 For example, one farm switched production entirely from dairy to livestock. This was not specifically in response to climate change, but I think is a great example of the types of shifts that many people may have to make as the environment changes. Other creative ideas included a corn maze on the farm, teaming up with other producers to access larger markets, and hosting community events on site. CSA: What would you tell young, or beginning, farmers who are in the planning or business development stage of farming, in terms of accounting for the risk posed by climate change? Ruby: Have a solid business plan, and know your profit margins. That way you know which products are most important to the business, and can make good risk management decisions. Also try to incorporate a financial buffer right from the start. This could be from a greenhouse, some type of off-season production, or finding a way to roll over surplus from one year to the next. One of the biggest threats from climate change seems to be the unpredictable and extreme weather. A financial buffer helps farmers “weather the storm.” As we talked about before, I think diversification is also very important, and building up a strong network. 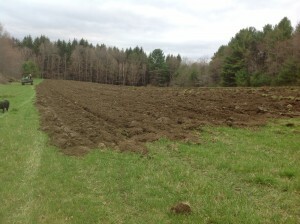 CSA: Finally, where do you see the food system in New England moving in the future? Will farmers be able to develop climate change resiliency, and what needs to happen to ensure long-term sustainability? Ruby: I was really encouraged to see the great work that is happening all over New England in terms of supporting a sustainable food system. Food Solutions New England is doing a great job of building a regional network. There are so many people that care about their communities, care about their food, and are thinking creatively about what a healthy food system should look like! Yes, I definitely think that farmers can develop climate change resiliency. They already are; farming is a difficult and dynamic livelihood, and farmers have been adapting to the environment and markets for a long time. I think that a sustainable regional food system needs farms of all scale. 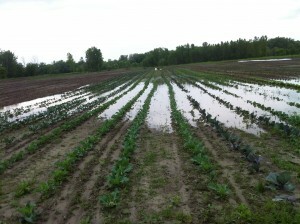 Small family farms are important, but of course all of our food cannot come from CSA’s and farmers markets. I think we need to support policies that help both small and middle-sized agriculture. I also think that working at a regional scale is important. In a region as diverse as New England, we are luck to have many different types of production. This means that many of our dietary needs could feasibly be fulfilled regionally. A strong regional food system also increases our food security and resilience to disruptive climate change. CSA: Thanks so much for sharing with us! Ruby: Thanks for taking the time to connect with me! To begin our project, we’d like to highlight a collection of case studies of farms recently completed by Ruby Woodside, a Thomas W. Haas Climate Fellow at the University of New Hampshire. Her work was sponsored in collaboration by Food Solutions New England, a network devoted to transforming the New England food system for the better. Ruby’s case studies, all 12, are available for reading and downloading through the UNH Sustainability Institute. 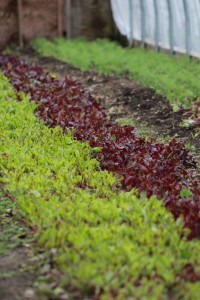 They cover a diverse mix of farms, from aquaculture to fruit and vegetables, and many are just a couple pages long. I encourage you to dive in, and to enjoy and learn from the breadth of climate change adaptation strategies contained within. A few of the farms may not be that different from your own. CSA: First, congratulations on the fellowship, and on the final product. Ruby: Thank you! It was a great experience, and I am thrilled that people are reading the cases. I loved meeting so many different folks involved in the food system, and want to acknowledge everyone who took the time to speak with me. CSA: The more we travel around, the more we hear farmers talking about the need to be ‘resilient’. After interviewing these farmers, how would you define ‘resiliency’, in terms of farming and climate change? Ruby: Yes, a lot of farmers talked about being resilient, and in most cases it meant some type of diversification. I had always heard the argument for diversified production, and of course we know the dangers of monocultures and how vulnerable that can be. Most of the farmers I interviewed mentioned the importance of growing different products; ‘don’t put all your eggs in one basket!’ as one farmer put it. So I think that is definitely key in being resilient to climate change. It really is something that most small farmers try to do anyways, especially with the famously erratic New England weather. In addition to diversifying production, farmers mentioned diversifying their income and markets as a method to increase resilience. This is more of the business model side of the equation. If farmers rely solely on Community Supported Agriculture or a few wholesale accounts, then that also makes them vulnerable to changes, be it changes in the market or in their production. Many farmers also looked to add supplemental income that wasn’t directly from farm production. For example, hosting a workshop or finding a way to get paid for ecosystem services. This makes a lot of sense to me. So I think that resilience overall means diversified production, diversified sources of money coming into the farm, and a strong community support network. CSA: We know there are a variety of observed and projected climate impacts on farms in the Northeast (i.e., flooding, new pests, etc.). Did one specific projection, or impact, rise to the surface as the primary concern for the farmers you profiled? Ruby: Not really, but I think that is because each farm I visited was very different and in a different location. Many of the concerns are site specific. 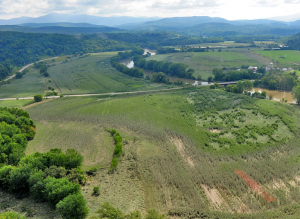 For example, the farms that I visited at the Intervale, VT, which are on a floodplain, were naturally most affected by flooding, whereas other farms felt that late summer drought was more problematic. It really depended on what they were producing and the specific geography of the farm. I will say that almost everyone I spoke with noted that the weather seems to be getting more extreme and unpredictable. This was interesting to hear, especially as many of the farmers have been in the business their entire lives. These observations were not necessarily a part of the conversation about climate change, and in many cases I actually did not ask specifically about impacts of climate change. Instead I asked whether or not people observed any changing trends in weather patterns over the years. So that definitely stood out to me; whether or not climate change is on people’s radar, there are noticeable changes in the environment. CSA: That confirms many of our observations and conversations as well. We also hear that climate change is just one of many sources of risk for farmers. Does that match up with your experience? Ruby: Absolutely. Climate change is not necessarily the primary concern for many of these farmers. Yes, people were worried about changes that they were noticing in the environment, and increased pressure from disease and pests, flooding, droughts, etc. 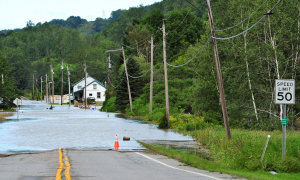 Some farmers attributed these changes directly to climate change, and some did not. However, on a day-to-day basis, farmers were facing numerous other challenges, ranging from how to finance a new infrastructure project to keeping livestock healthy to understanding complicated regulations to the daily grind of harvesting and getting products to market. I actually think that the most important thing is not how farmers are adapting to climate change, per se, but that they are able to make a viable livelihood farming and have the tools needed to do so in a sustainable way. With sufficient resources, it seems that small farms are naturally going to take steps to increase their resilience and viability. They are also going to use environmentally sustainable methods. I think that any way we can help make farming a profitable business and more holistically integrated into communities across the region will help increase climate change resilience. 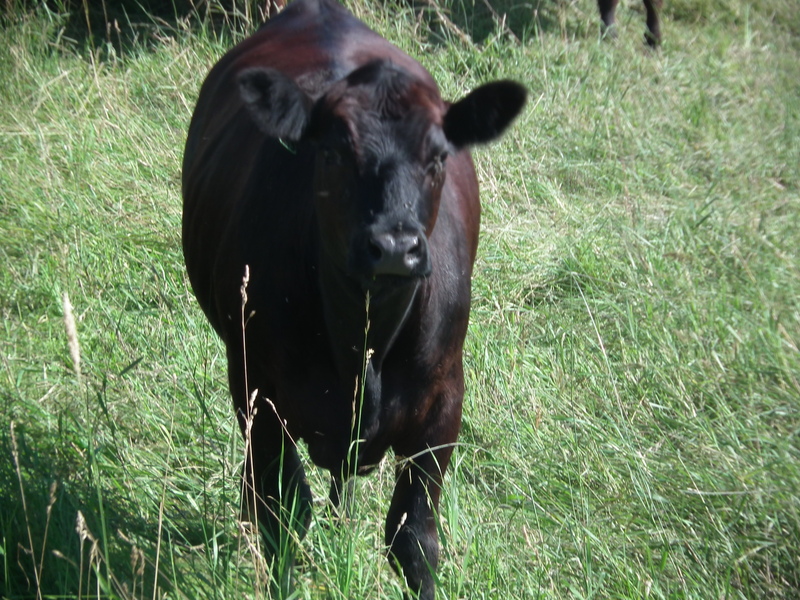 We will continue the interview with Ruby in the next post, where we’ll ask about where farmers look for information on adaptation and Ruby’s thoughts on the future of the New England food system. 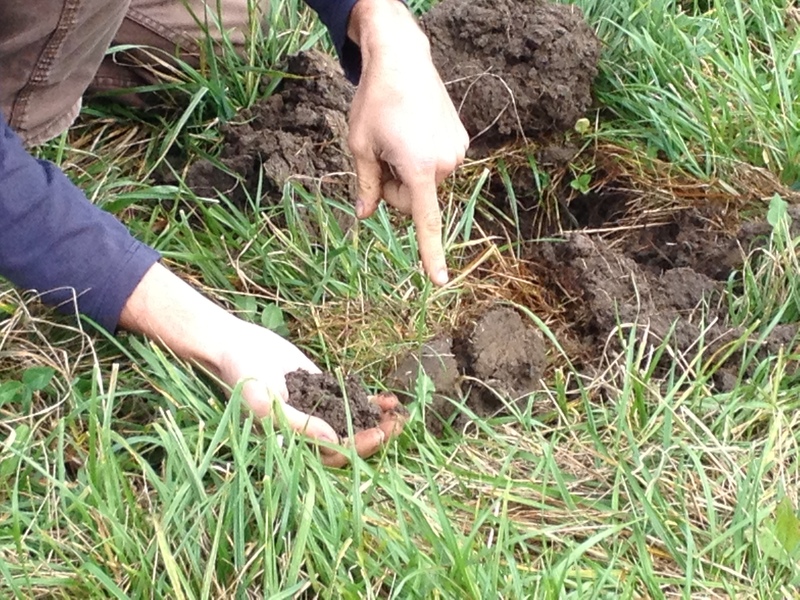 New blog to highlight climate change adaptations on farms! 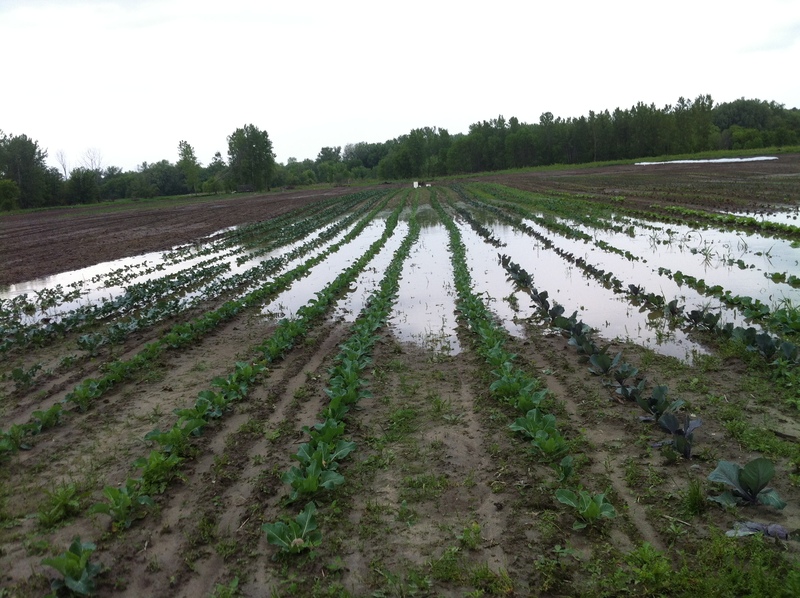 The UVM Extension Center for Sustainable Agriculture has embarked on a partnership with the USDA Northeast Climate Hub to engage, learn from, and share information with organic farmers within the region. The Climate Hub, which is composed of a variety of government agencies and the land grant universities in the region, works ‘…to develop and deliver the science-based, region-specific information and technologies that farmers, foresters and land managers need now to better respond to and adapt to increasingly unpredictable weather and climate.’ We are excited to be a part of this timely mission, and feel especially well-positioned to provide the connection between the universities, agencies, and the farming community. We work with many organic producers, which are a critical part of the farming sector in the region, and who utilize unique approaches and production practices. Through this partnership, the Center for Sustainable Agriculture plans to highlight successful strategies these farmers, and others, are using to adapt to a changing climate. This will be accomplished through a series of short articles or blog posts over the next year. We will also be collaborating with others in the region to host guest articles from time to time. Please respond to or comment on our postings with your thoughts and/or contributions. We’d love to know what you are thinking, and if you’ve had success with the highlighted adaptations, or others, on your farm. You may also see us at a number of the region’s organic farming conferences, as we travel around with an exhibit and interact with as many farmers as possible.